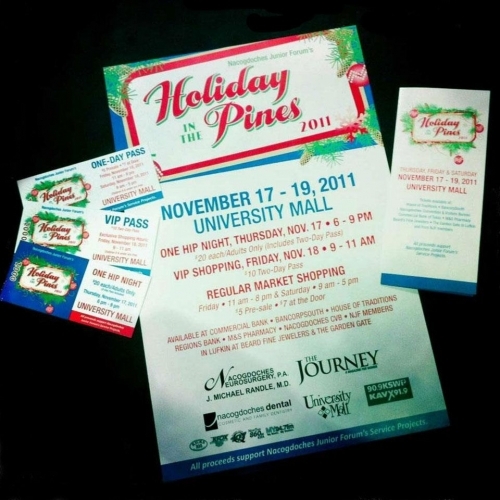 From the ink and paper selection to the design, Point A Media ensures our clients always look great, on paper and beyond! In addition to producing brochures, posters, flyers, business cards, letterhead, magazines and other cool stuff, Point A Media uses a fluid formula for demographic determination and fulfillment of direct mail campaigns. 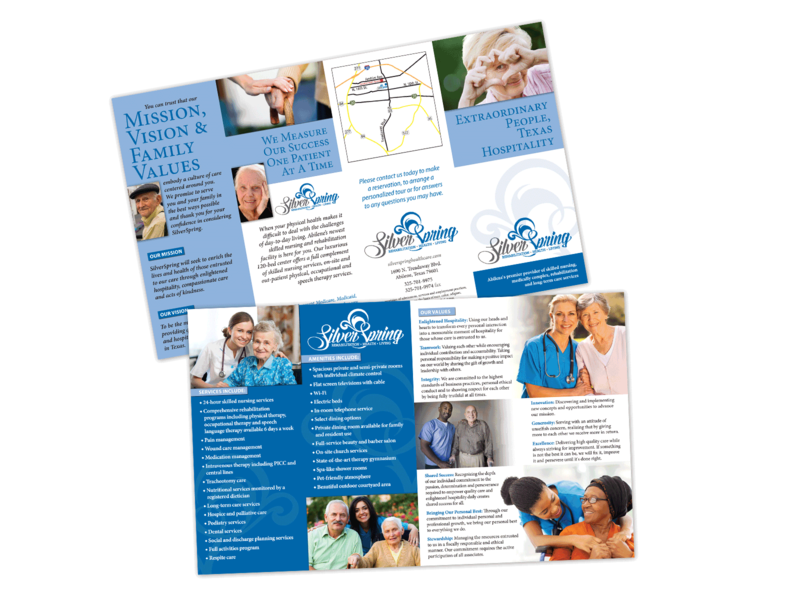 This four-panel brochure for SilverSpring highlights the mission statement and values of the incredibly caring people behind Abilene's premier provider of medically complex, rehabilitation and long-term care services. 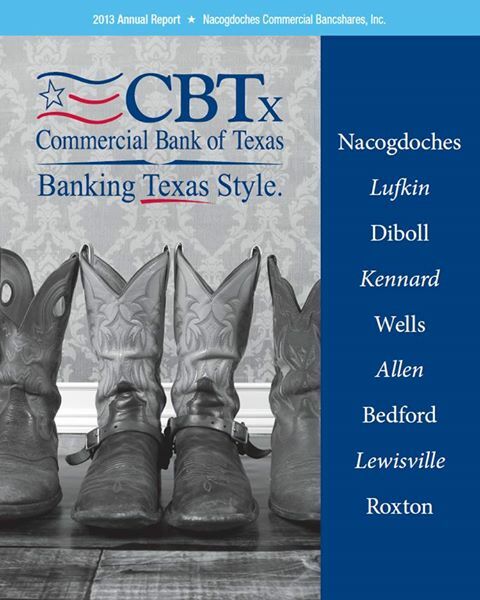 The all-new annual report format for Commercial Bank of Texas dresses up the usual facts and figures with fancy infographics, leader bios and the "Banking Texas Style" story. 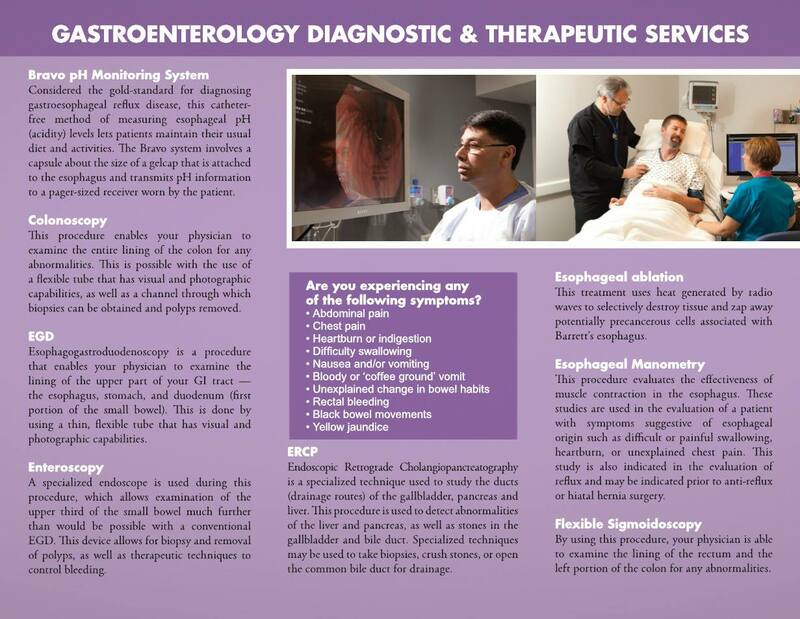 This fantastic, full-color brochure explains some of the diagnostic procedures and therapeutic treatments offered in the all-new GI Lab at Nacogdoches Memorial Hospital. With five procedure rooms, an x-ray room and a spacious recovery area, the new GI Lab is designed specifically to provide more comfort and better care. 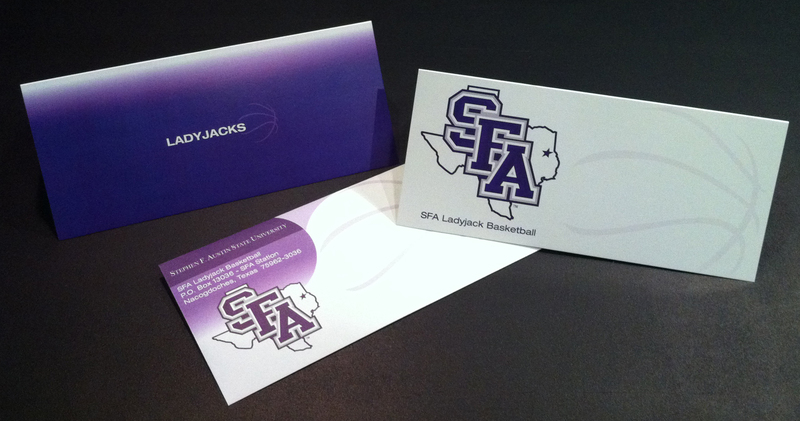 Stephen F. Austin State University's Ladyjacks always look great as they tear up the court! Point A Media designed these note cards to assist the team's off-court correspondences in fast breaks to their intended recipients. 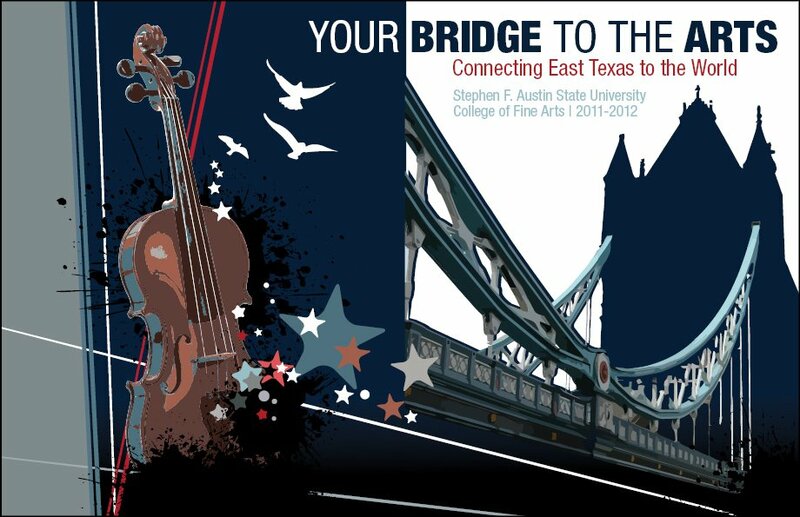 Stephen F. Austin State University's College of Fine Arts brochure showcases an entire season's worth of performances, as well as the sponsors who make the events possible. This sassy, saddle-stitched booklet was printed in 4-color on glossy paper and mailed to subscribers in custom envelopes. Charles Pool REAL ESTATE, Inc.'s history is written in the pages of Nacogdoches. Their business cards, printed on matte 16 pt stock, are durable and professional, with a scrapbooked-charm that helps commercial and residential clients feel at home. 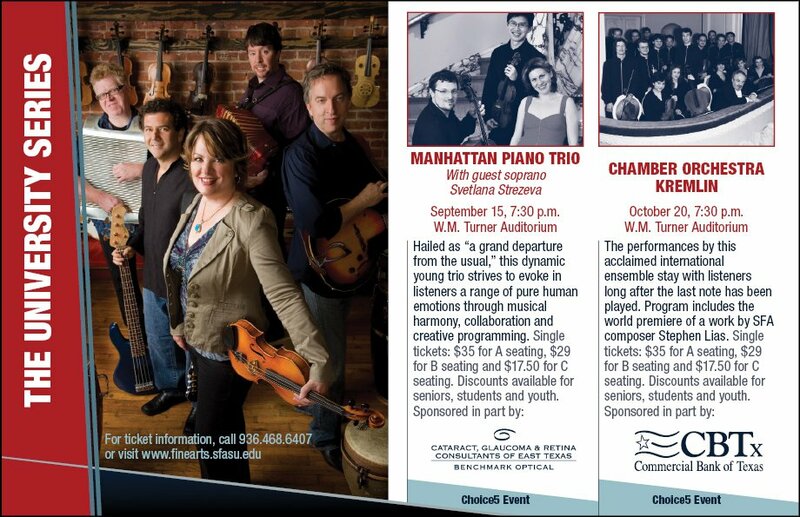 Each year, Point A Media designs and produces a beautiful, 4-color, perfect bound directory that is used to recruit, welcome and orient newcomers. The guide also includes a comprehensive membership guide for the Nacogdoches County Chamber of Commerce and advertising is available exclusively to chamber members. 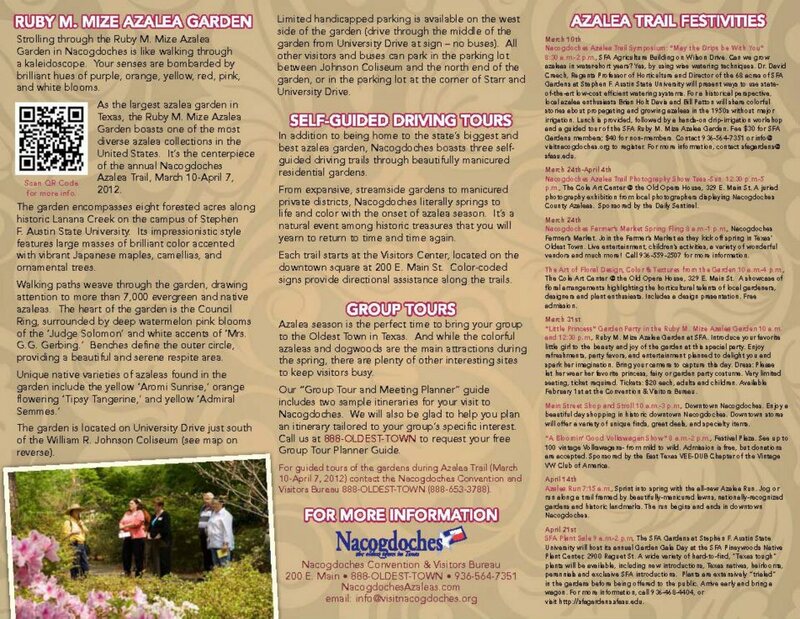 The 2012 Nacogdoches Azalea Trail Brochure has an all-new design with fresh photos, a comprehensive map and fantastic new events. 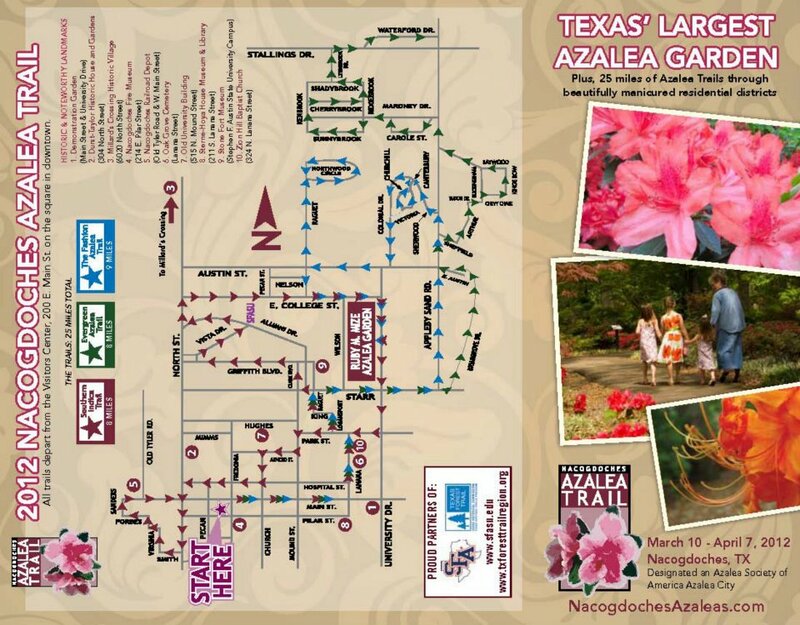 In addition to the trail mileage map, we included a QR code that links to NacogdochesAzaleas.com where visitors can view the latest event info and check out bloom reports. Nacogdoches Memorial Hospital offers room service from 7am - 7pm, so patients can get what they want, when they want. 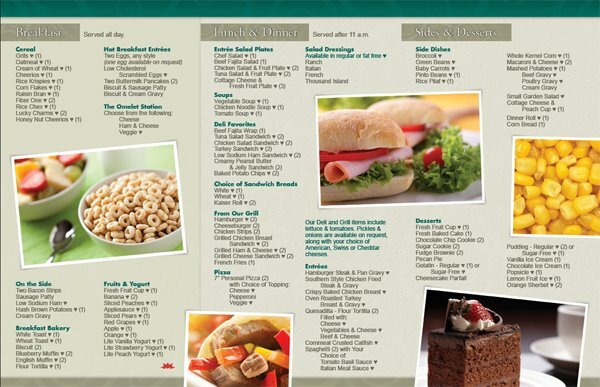 Choose from this beautiful, full-color menu of delicious and nutritious items and you'll be feeling better in no time! 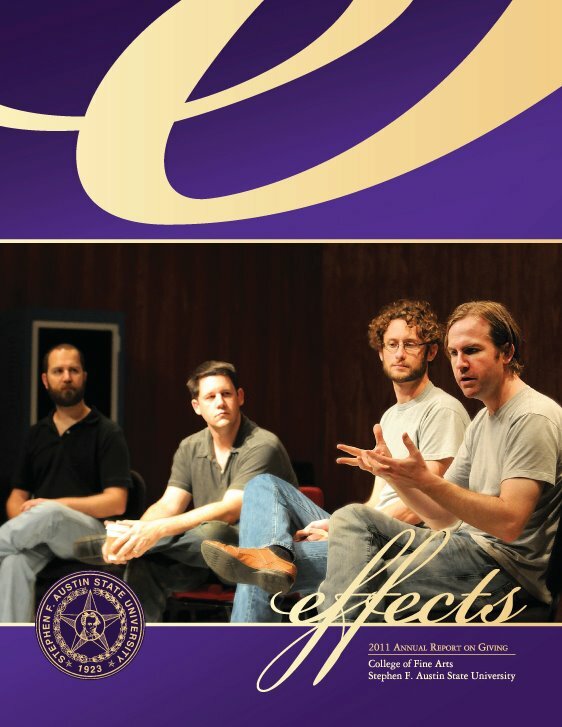 effects is the Annual Report of Giving for the College of Fine Arts at Stephen F. Austin State University. This glossy, saddle stitched magazine is mailed to thousands of readers. It follows the incredible work SFA faculty and students produce on campus and around the world with the generous support of donors. Nacogdoches County sought to increase government transparency through the production of the Popular Annual Foundation Report. The PAFR includeds breakouts of annual revenues and expenditures, along with highlights of successes from the previous fiscal year. The gatefold brochure was distributed to all members of the Nacogdoches County Chamber of Commerce and made available in County government offices. 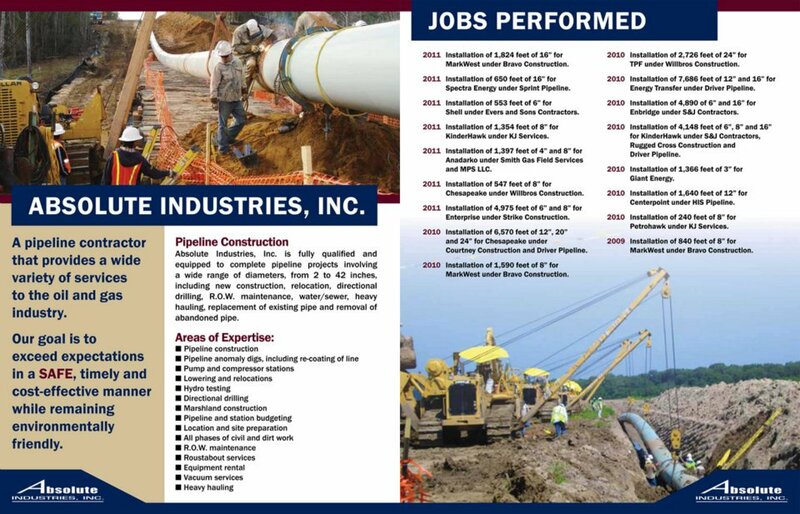 These are a few inside pages from a project we did for Absolute Industries, a Lufkin-based pipeline company. This eight-page pocket folder required special die-cuts to accommodate multiple business cards, since the company is using the folder as their promotional brochure.